Not according to many financial experts. In fact, they say it’s a great occasion for couples to start the discussion. It’s a fact that arguments and differences over finances is a major contribution to couples splitting up. The experts say that on a day like today when couples talk about their relationship, it’s a good chance to clarify financial situations and goals. Stammers says that an honest conversation about savings and goals can be crucial for many couples and their future together. 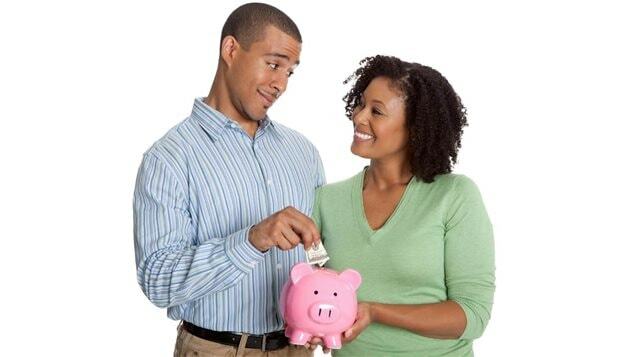 Clearing the air about one’s financial situation, can only help a couple he says, Then the idea is to talk and establish clear goals so that you can work together towards the goals, and saving. He says it’s important to set savings goals and budgets in order to work towards the bigger goals. In the end he says, as couples talk about their future together on this day, it should be easier to slip into a conversation about goals and finances and about how to work together to achieve them. We shop all of our Insurance Providers to find you the best deal! Getting insurance can be complicated, and involve a wide range of factors. Getting the right insurance policy can help protect your investments, and save you thousands of dollars. At InsureLine, we understand the complexities of finding the right insurance coverage. We are passionate about 'Simplifying Insurance', and saving customers money. If you are in the process of buying a home, most banks require that you have insurance before they will lend you the money to purchase the home. We work with new home buyers daily, understand how the mortgage industry works, and can create a plan to satisfy the insurance related qualifications. If you already have insurance, we can determine if you're currently over-insured, under-insured, or have the best policy. We will also determine if you're currently paying too much for insurance. Visit our new office, we are located inside The Mortgage Centre - Your Island Mortgage Team office located at 272 Anderton Road, Comox. 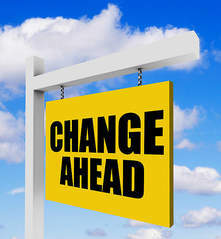 Until recently, homeowners looked forward to renewing their mortgages as they were likely renewing at a lower rate and had several financial institutions competing for their business. Consumers were negotiating from a position of power knowing they could leave without penalty if their demands were not met. This is no longer the case as much of the negotiating power has shifted back to the financial institutions due to the expansion of the mortgage stress test. When your mortgage is up for renewal, your financial institution will mail a letter stating the new term and interest rate of your mortgage. In most cases, you are not subject to the mortgage stress test and are simply signing the letter to renew your mortgage — easy. The downside to signing the renewal letter is that you are giving up your ability to negotiate. Unfortunately, if a competitor offers you a better rate you want to accept, you will be subject to the stress test to re-qualify for your mortgage. As of January 1, 2018, all home buyers, regardless of the size of their down payment are subject to the stress test. 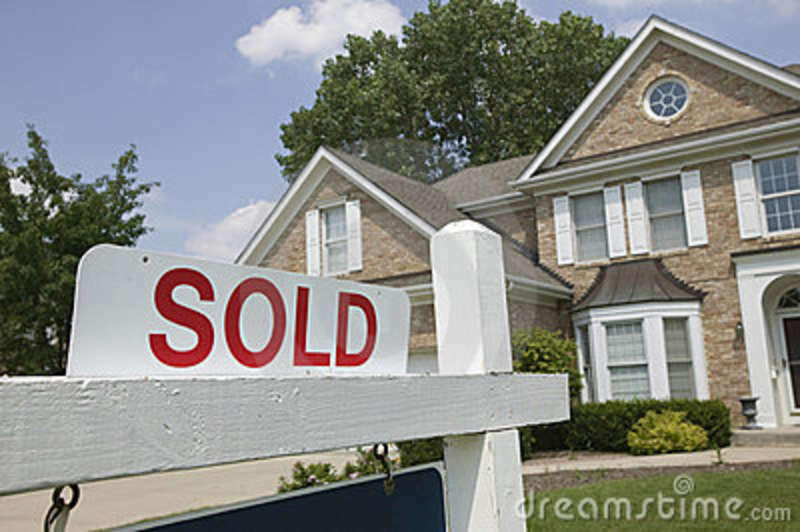 The purpose of the test is to assess a buyers' ability to afford mortgage payments at higher interest rates. Borrowers must qualify based on the greater of Bank of Canada qualifying rate or your contracted rate plus two per cent. It's a federal initiative, so only banks must follow the new rules. However most provincial-run financial institutions, such as credit union, have voluntarily adopted the stress test's higher standards. If you fail the stress test, you will not be able to move your mortgage and will have to accept the rate your existing lender is offering. If you are confident that you can pass the mortgage stress test, go ahead and shop around. Gather all of the competing offers and request your current lender match the rate and/or conditions. If they are unable to so, consider moving your mortgage if the discrepancy is large enough and the new lender is willing to absorb most of the start-up costs. I would also suggest you speak to a mortgage broker as he or she can determine the competitiveness of your renewal offer and your likelihood of passing the stress test. If it is determined that you can pass the stress test, a broker will lay out the various options so that you are able to make an informed decision. Do not sign the renewal letter that is automatically sent to you in advance of your renewal date. Always speak to someone and negotiate. Consider the financial institution's reputation, flexibility regarding pre-payments and rates when deciding on a lender. The stress test makes it much more difficult to change lenders so best to pick one you are comfortable remaining with long term. Your credit score is important. Make your payments on time and try to avoid excess debt as the rate you will be offered is risk based. Try to put yourself in a position to pass the stress test so that more lenders will compete for your business. If you need a loan, delay applying for it until after your mortgage renews. That loan could be the difference between passing or failing the stress test. If you have a loan and are planning to pay it off, do so before you renew the mortgage (ideally a couple of months before). By eliminating that debt, you will be perceived as less risky and will likely be offered a better rate. If you would like to discuss your renewal options, please call Your Island Mortgage Team for assistance: 250-898-8821. A Competition Tribunal decision in July 2016 found that by not including sold and other data in its VOW feed to members, TREB had engaged in anti-competitive acts. An appeal court upheld the decision and on Aug. 23 of this year, the Supreme Court of Canada announced that it would not hear TREB’s appeal. CREA supported TREB at the tribunal and had intervenor status in the proceedings. TREB is now supplying the disputed data to its member VOWs. CREA media relations officer Pierre Leduc says that before the sold data can be displayed on Realtor.ca, each real estate board must request that the information be added. CREA will then work with the boards, the provincial associations and the regulators to ensure that it complies with all laws and regulations. “We’ll have to check with the boards to see what historic sold data they have access to, and how far back that data will go,” says Leduc. Only historic sold prices will be posted and not pending solds, he says. Pending solds were part of the Competition Tribunal order for VOWs, but consumers and Realtors are concerned about privacy issues on deals that have yet to close. Leduc says CREA hopes to have the sold data rolled out on Realtor.ca as soon as possible. The government is changing how Canadians must qualify for a Conventional Mortgage. 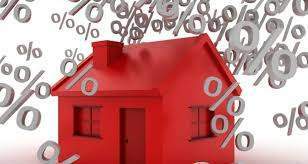 Starting January 1, 2018, anyone purchasing a property with 20% or more down payment, or anyone refinancing an existing mortgage, must qualify at the greater of the Bank of Canada Benchmark Rate (currently 4.99%) or the Contract Rate of the mortgage plus 2% (ie. 3.29% + 2% = 5.29%). The effect of this change on the average mortgage borrower will be a 20% reduction in borrowing power. For example, if you can qualify today for a mortgage of $400,000, then after January 1st this maximum will be reduced to $320,000. If the Purchase Contract is dated prior to January 1, 2018, regardless of the Closing Date, the old rules will apply. If the Purchase Contract is dated January 1, 2018 or later, the new rules will apply. Any Mortgage Refinance submitted and approved under the old rules prior to January 1, 2018 must close within 120 days of the new year. Any pre-approvals that have not been activated with an accepted Purchase Contract prior to January 1, 2018 will not preserve qualification under the old rules, although the associated rate hold will stay intact. When a buyer has a down payment of less than 20% of the purchase price, this is considered a High Ratio purchase and must be insured by one of Canada’s three insurers, which are CMHC, Genworth or Canada Guaranty. All High Ratio mortgage terms must now be “stress tested” or qualified using the Bank of Canada benchmark rate, which as of today is 4.64%. The stress test effectively reduces a buyer’s purchasing power by approximately 20%. A sale of a principal residence must now be reported on income tax returns, effective for the 2016 tax year. Principal Residence Exemptions (PRE) will be claimed upon tax filing. You are only allowed to claim 1 PRE per year and the property must be owner occupied at the time of sale. If you are uncertain about your PRE eligibility, we encourage you to speak with your accountant or tax preparer. What is the reason for the New Rules? If you are concerned about anything surrounding the new rules, how they affect you directly, and what your options are moving forward, please call Your Island Mortgage Team for assistance: 250-898-8821. We wrote a post about understanding your credit score, even though it is a few years old it is still relevant. The article is a good read to learn more about how your credit activities affect your credit score. Reduce the number of credit card applications you submit. Every time your apply for a credit card they do a credit check, these affect you credit score because multiple credit card applications implies you may be in a difficult Financial situation. 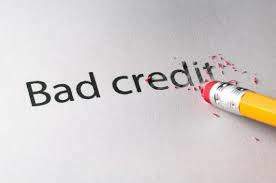 The exception is having multiple credit checks in a short period of time for either a mortgage or car loan, this is considered shopping around for the best deal, and therefore is not as harmful to your score. 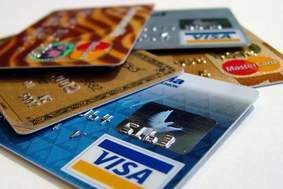 You are better off to have two credit cards at 50% of the limit than you are to have one maxed out and another at zero. It is not total dollar value of debt, but total debt as compared to available credit. Pay all collections you may have, and avoid letting any disputes get that far. In a dispute, you are better off to pay the account and then fight with the company for a refund, than to withhold funds and get sent to collections. Don’t go over your limit on your credit cards. Be cautious when giving out personal information over the phone, through mail, or on the internet. Limit the amount of id you carry with you. Keep items like your birth certificate and social insurance card at home in a safe unless you need them with you for a particular purpose. Shred all old financial documents instead of just recycling or throwing them out. Look at your budget, and if you don’t have a budget making one may be a good idea to help you see where you stand financially. You may be surprised at how much you actually spend eating out compared to what you spend on groceries. Try negotiating a lower rate with your credit card company. And lastly, if you really are having trouble managing your debt you may want to look into debt consolidation. Debt consolidation is a low interest loan which combines your entire debit into one, giving you only one payment to worry about. Pull your credit report at least once a year to review for accuracy. It is free if you order by mail. 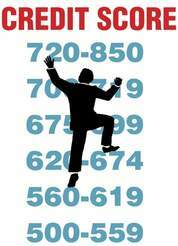 Don’t pay for a credit score from Equifax, as it is not the same score that lenders use anyway. This score is good to see if your credit is going in the right direction, but it is not an indicator of what mortgage you may qualify for. Pay the card in full by the due date. You won’t have any interest if you pay it in full. Don’t use the card again, wait a full month for the next bill to come in the mail showing the zero balance. Equifax is all computer algorithms. It doesn’t know if you are paying your card off in full each month, or just carrying the same balance. By using the card every other month as described, you are showing that you have a balance, paid it off, etc. This really works to increase your score much faster than most other ways. Increasing your credit score may not be easy and it may take time but it is worth it, especially if you ever plan to purchase a home or get a car loan. If you have any questions about credit scores or mortgages please give us a call at (250)898-8821 or Toll Free at 1-866-898-8821. Typical insurances such as life or home insurance protect you from events that may happen in the future, for instance fire or accidental death. Title Insurance on the other hand protects you from events which happened in the past, such as survey or public record errors, and unknown title defects. Construction done by a previous owner without permits – imagine if the previous owner removed a wall not realizing it was structurally supportive. When you first moved in you loved the open concept but slowly you notice second floor is starting to sink. How much do you think it would cost to fix that mistake? The cost of Title Insurance varies based on the value of your property and which company you choose to go with. 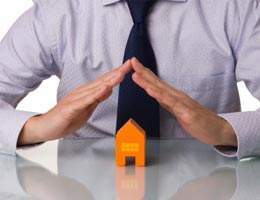 Title Insurance is a one time premium that lasts as long as you own your home, and depending on your policy it maybe able to extend to heirs, a spouse in the event of divorce, or to children when the property is transferred from parents for nominal consideration. Though usually purchased when you buy your home, Title Insurance can be bought anytime after you have purchased your home. If you think Title Insurance maybe for you, contact your lawyer to discuss your options. Make sure you understand what your policy covers and does not cover, and if you have any questions make sure you ask your lawyer or insurance provider. mortgages, please contact us 1-866-898-8821. Moving day can be exciting, stressful, and even emotional all at the same time. Your Island Mortgage Team cares about your entire home owning experience, and we want to help make it as stress free as possible. Use colored duct tape to easily and quickly mark boxes while packing. 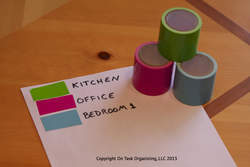 Colour code each room in your home and stick a piece of the coordinating color of duct tape on the box for which room it is destined for. This will make it easier to identify which box goes where. Keep the contents of smaller drawers in zip lock bags. Don’t have any of those fancy wardrobe boxes? Make it easy to transport hanging clothing by putting them in trash bags. 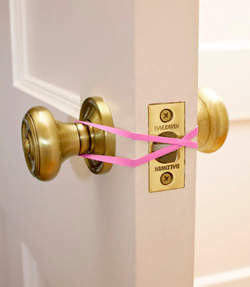 While moving use an elastic band to keep your door from latching closed. Loop the band around the inner and outer knobs and over the door latch. This is especially helpful if you are moving out of an apartment whose door likes to lock automatically. Have lots of heavy books? Save your back and pack them in rolling suitcases to make them easy to transport. Check out restaurants in your new neighbour hood before moving day. This way when dinner time rolls around while you are unpacking you aren’t struggling to figure out where to order from. Pack essentials for your first night such as sheets and shower curtains in your new place in clear plastic totes. When dissembling furniture put all of the small pieces such as screws, nuts, and bolts into a zip lock bag. Either label the bags or use tape to the bag to the piece of furniture so it is easy to find when it comes time to put it back together. 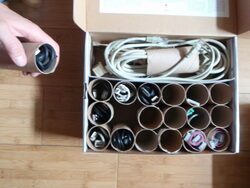 Use toilet paper rolls to pack cords and wires. Not only does this keep them from getting all tangled you can write on the toilet paper roll what the cord is for. The first thing you should set up is your bed. Have any Moving Tips you would like to Share? Feel free to leave a comment below. You have saved up your down payment and closing costs, and a small emergency fund… green shag is unpleasant but not an emergency… right? A cashback mortgage is a mortgage product that offers a percentage of cashback to the borrower at funding. The percentage usually ranges from 1 to 5% of the total loan amount (for example, a $200,000 mortgage with a 5% Cashback would grant the borrower $10,000. These loans are a bit higher than best rates (not much at all!). The cashback cannot be used for your down payment, but it can be used to pay off or down debt, new appliances or home improvements or even closing costs. When considering penalties for these products, the cash-back amounts are usually pro-rated, and if you decide to break your mortgage term, you will be looking at the penalty for breaking the mortgage, as well as the pro-rated balance of the cash-back portion. These products are available a bit higher rate. It might be worth keeping in mind that the rates are generally still much lower than those on lines of credit and/or credit cards. Cashback mortgages are available at 3 and 5 year terms. A Purchase Plus Improvements mortgage allows for borrower to borrow up to 10% of the total loan amount, to a maximum of $40,000. The borrower collects quotes and estimates for the work to be done, and submits these when they are applying for their mortgage funding. When the lender approves the application and the property is purchased, the borrower has the work completed and notifies their mortgage broker that the projects are complete. The broker arranges for an appraiser to come out and confirm the work is completed. Once confirmed, the lender advances the funds to the borrower’s lawyer or notary, and they release the funds to the client to pay the contractors. In this instance, the borrower must have at least 5% down payment on the total amount to be advanced. So, if you are looking at purchasing a $200,000 home, and want to borrow $20,000 for improvements, you would need to have $11,000 for down payment (5% of $220,000), plus closing costs. These products are available at best available rates, generally for at least 3 or 5 year terms. Now let’s say you find a home that is in the perfect spot. But the house is very far from perfect, and it’s going to take more than 10% of the purchase price to bring it closer to perfect. This is when you might consider a construction or draw mortgage. This allows you to borrow more than 10% of the purchase price. However, it also changes the structure of the loan. 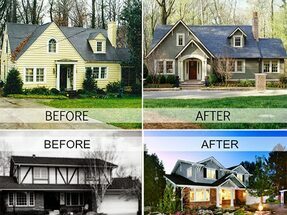 There are options out there that will allow you to make draws on large renovation projects (similar to a new build). There are things to consider, like the costs to have the appraiser confirm that the work is completed before the draws are advanced, and some lenders might restrict the number of draws (for example, 3 draws of $25,000 for a $75,000 renovation). 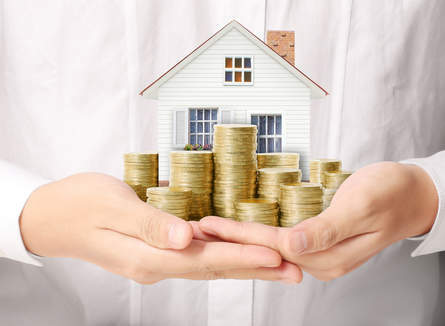 Payment structure can vary widely, so it is best to speak with your Mortgage Broker; we will walk you through the steps and help you to decide the best mortgage to fit your budget, plans and financial situation. One more thing to consider is combining one of these great, low-rate mortgage options with improving the Energy Efficiency of the home you are purchasing. There are a number of financial incentives offered by insurers and governments to people who are upgrading the energy efficiency of their home. These options are available when your mortgage is up for renewal – why not take advantage of the record low rates available to not only save money on your payments, but add equity to your property. This post contributed by team member Amanda Jacobson. If you have any questions, or for more information, please do not hesitate to contact Your Island Mortgage Team today! Welcome! We're Your Island Mortgage Team. To get us working for you, simply contact one of our Mortgage Professionals. We look forward to hearing from you soon!